As it is a known fact that VoIP resellers feature lower down the hierarchical order of VoIP business, there arises a question whether they can make a good profit margin while extending their services to end users. The answer is a big "YES" as it opens up potential business opportunities for them which most fail to comprehend.No matter at whichever level you are tagged on in the VoIP business hierarchy, you can still make a fortune with the kind of services you're enabled to offer to your subordinate levels. So, as a reseller you can scale up your business growth efficiently only if you're able to ensure seamless business run as indicated below.Expand your business boundaries most resellers focus on transmitting VoIP services from retailers to end users or other resellers. Apart from this, you will have to concentrate on different set of end users such as call centers, educational institutions, small and mid-sized businesses, etc., which can guarantee good returns in order to make your business more competitive. 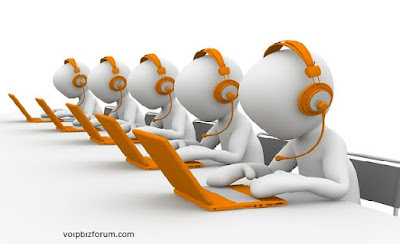 Thus, expansion of business is possible through VoIP reselling for your increased revenue generation. Standard Routes: The voice quality is always standard in nature with any number of concurrent calls. Premium Routes: The voice quality is crystal clear irrespective of the number of concurrent calls. Grey Routes: The voice quality dips as the number of concurrent calls increases. Thus, as a reseller you should be aware of these route choices so that you can accordingly seek them from your wholesaler. A softswitch can help you make the combination choice of these routes to ensure decent voice quality for your end users while bringing more profits to your business. So, see that your wholesaler has a robust softswitch that has this provision.Advanced SoftswitchAs mentioned, the role of softswitch is very critical for successful VoIP reseller business. Most softswitches don't support billing functionality so it will pose a big problem for you to track customer transactions/accounts and bill them accordingly leading to ineffectual customer service. This will eventually result in huge loss for your business as there would be no transparency in tracking the balance talk time. Hence, an advanced wholesale softswitch that also supports billing functionality has to be procured from your wholesaler to ensure risk-free business environment. In addition to above, ensure that the SIP clients provided by your wholesaler support advanced features such as Video Conferencing, SMS, Instant Messaging, Call Transfer, File Sharing, etc., in order to provide seamless VoIP services to end users.